Can you believe it is already fall? This is the season of warm colors, Halloween, Thanksgiving and cooler weather. Now is the perfect time to create an entryway that is both beautiful and inviting. Welcome the seasonal feel and be ready to wow all of your Halloween and Thanksgiving guests. 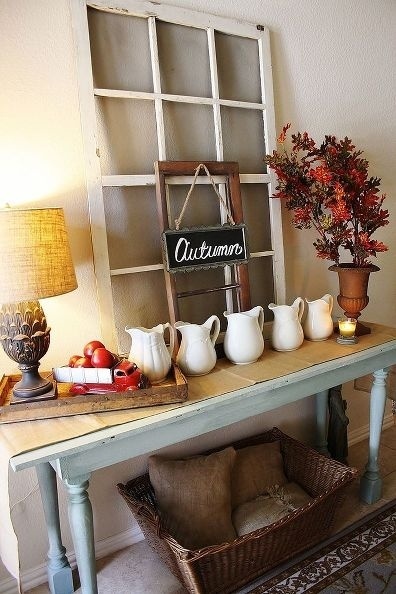 Here are some of our favorite fall-themed entryways for your inspiration! Add some burlap decorations for a chic look for your doorway. 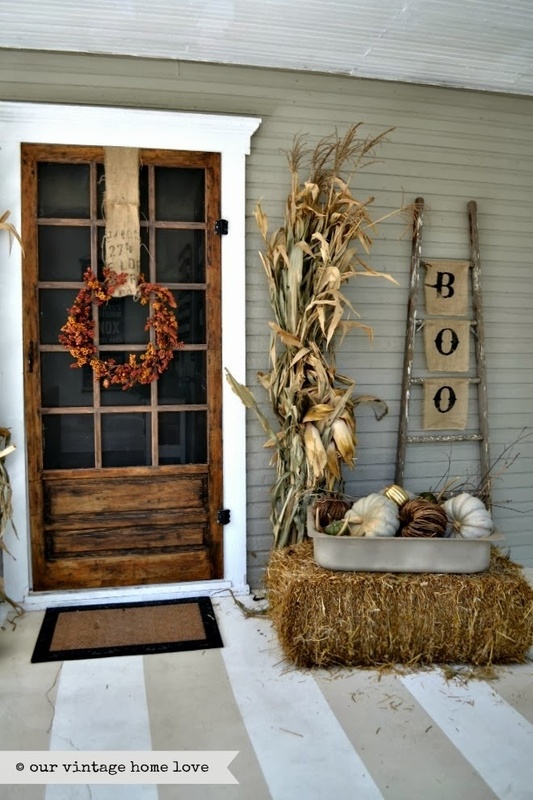 It’s such a cute way to add some Halloween and fall season elements to your home. How fun is this entryway? With the colors of the season, a warm candle and some pumpkin décor, this space is ready to welcome any guests you have. If your favorite holiday is Halloween, this is perfect for you! 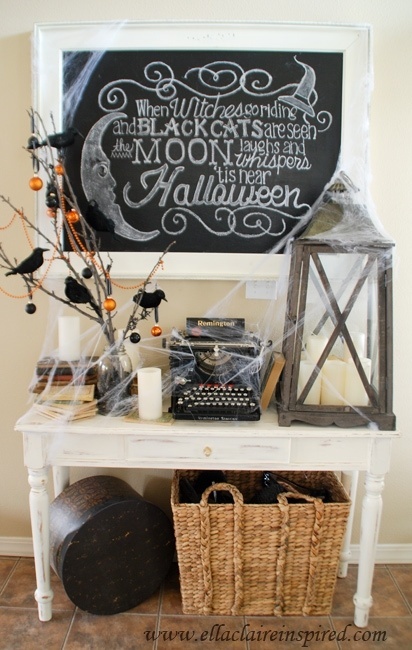 It’s so simple to dress up an area with some fake cobwebs, a chalkboard with a spooky quote and some sticks found in your yard to place birds on. Get creative and try using window panes to add to your decoration. 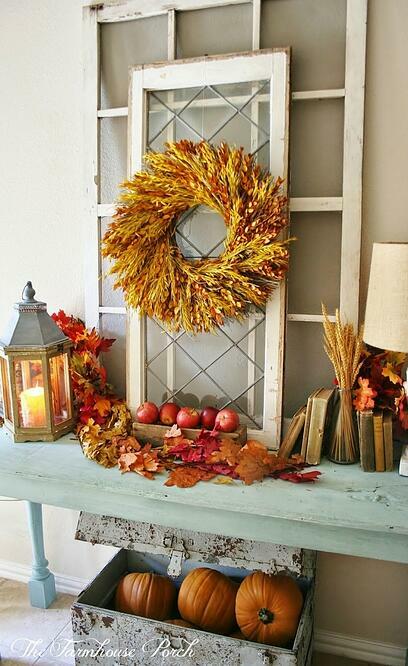 Tie in the natural colors of the season and add some apples and pumpkins for a charming entryway. Simple, rustic and perfect for a farmhouse. You don’t need a ton of decorations to have a festive foyer. Use this as inspiration if you prefer a simpler and less-is-more look. Not only does autumn mean different clothes, weather and activities, but it also means new decorations to dress your home up. 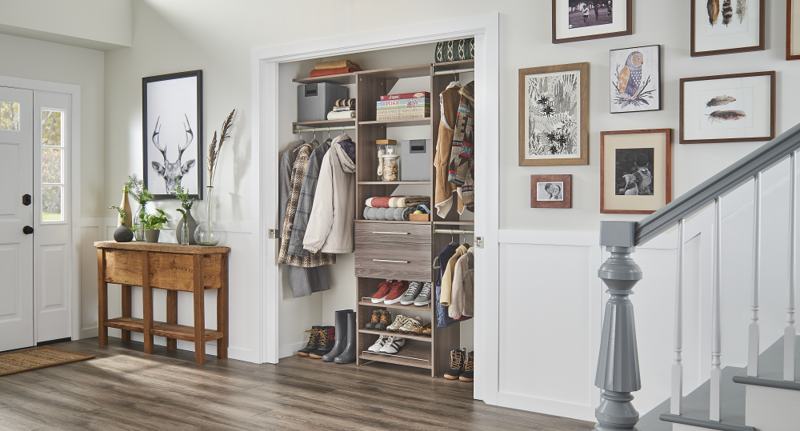 The entryway welcomes guests, and it welcomes your family home each day—so make this space beautiful! 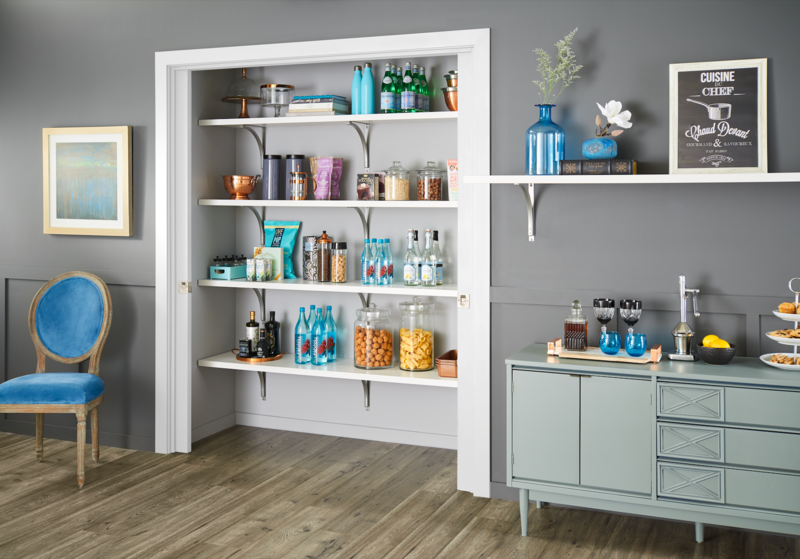 For all of your storage and organization needs, be sure to check out ClosetMaid.com, and all of our channels for inspiration and ideas: Facebook, Twitter, Instagram, Pinterest, YouTube, Houzz and Flickr. 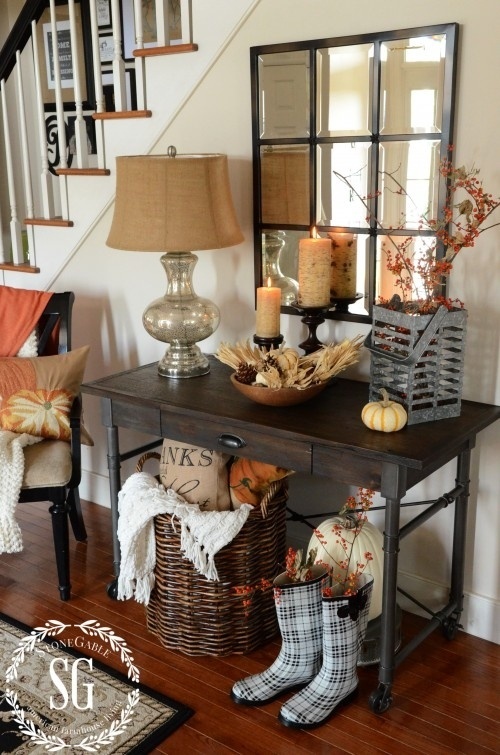 0 Comments on "Beautiful Fall Entryways"